[코스인코리아닷컴 장미란 기자] 메디컬 스파 코스메틱 브랜드 파우(FAU, 대표이사 최미화)가 2018년 홀리데이 시즌을 앞두고 ‘파우 스킨 솔루션 비비’의 홀리데이 한정판을 선보였다. ‘파우 스킨 솔루션 비비’의 홀리데이 리미티드 에디션은 올해 많은 사랑을 받은 ‘파우 스킨 솔루션 비비’의 제품력에 홀리데이 시즌 분위기를 한껏 살린 블랙&골드의 화려하고 예술적인 패키지로 소장 가치를 높였다. 홀리데이 리미티드 에디션으로 선보이는 ‘파우 스킨 솔루션 비비’는 출시 후 특별한 홍보 없이도 제품력을 인정받으며 국내외 소비자들로부터 큰 사랑을 받고 있는 파우의 베스트셀러 제품이다. ‘파우 스킨 솔루션 비비’는 미백, 주름개선, 자외선차단 3중 기능성 비비로 메이크업과 자외선차단 등 다양한 피부 고민을 한 번에 해결한다. 피부톤 보정 효과로 안 바른 듯 자연스러운 피부를 연출하며 놀라운 밀착력과 감쪽같이 자연스러운 커버력, 다크닝 없는 오랜 지속력으로 하루 종일 무너지지 않는 피부 자신감을 선사한다. 피부재생 성분으로 유명한 병풀추출물을 함유해 피부에 활력을 불어 넣고 저자극 성분을 사용해 피부과의 특수 치료 등의 병의원 시술 후에도 안전하게 사용할 수 있는 게 기존 비비 제품과 차별화된 특징이다. 또 퍼프가 내장돼 있어 휴대하기 쉽고 손에 묻어나지 않아 언제 어디서나 피부 관리나 보정이 가능하다. ‘파우 스킨 솔루션 비비’는 국내 유명 에스테틱 원장과 피부관리 전문가들 사이에서 입소문이 나기 시작해 이제 국내외 소비자들로부터 ‘인생비비’ ‘미친비비’로 불리며 호평받고 있다. 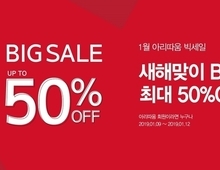 국내에서는 실제 사용자들의 긍정적인 리뷰가 끊이지 않고 있고 중국에서 잘 나가는 한국 비비크림 Top 3에 랭크돼 있을 정도로 현지에서 높은 인기를 자랑한다. 최미화 대표는 “화장을 할 때 대다수의 사람들은 여러 가지를 바르지 않고 한번에 미백, 주름개선 등 다양한 스킨케어 효과를 원한다”며 “파우 스킨 솔루션 비비는 이러한 요구를 충분히 수용함과 동시에 간편한 사용법으로도 인정받고 있는 제품”이라고 말했다. 이어 “올 한해 많은 분들의 사랑과 성원에 보답하기 위해 ‘파우 스킨 솔루션 비비’의 홀리데이 한정판을 준비했다”며 관심과 사랑을 강조했다. 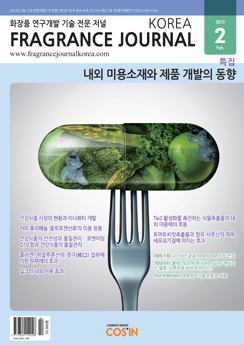 한편, ‘파우(FAU)’는 병원, 스파, 에스테틱 등에서 피부 전문가들이 고객의 피부 고민을 해결하기 위해 선택하는 메디컬 스파 코스메틱 브랜드이다. 에스테틱에서의 오랜 경험과 피부에 관한 연구 끝에 탄생한 파우의 제품들은 병원, 피부관리실에서 호평을 받으며 성장했다. 최근 ‘홈케어’, ‘홈에스테틱’ 등 집에서도 간편하게 사용하면서 병원이나 피부관리실에서 관리받은 듯한 효과를 원하는 소비자들 사이에 입소문이 나며 홈 뷰티케어 시대를 선도하고 있다. 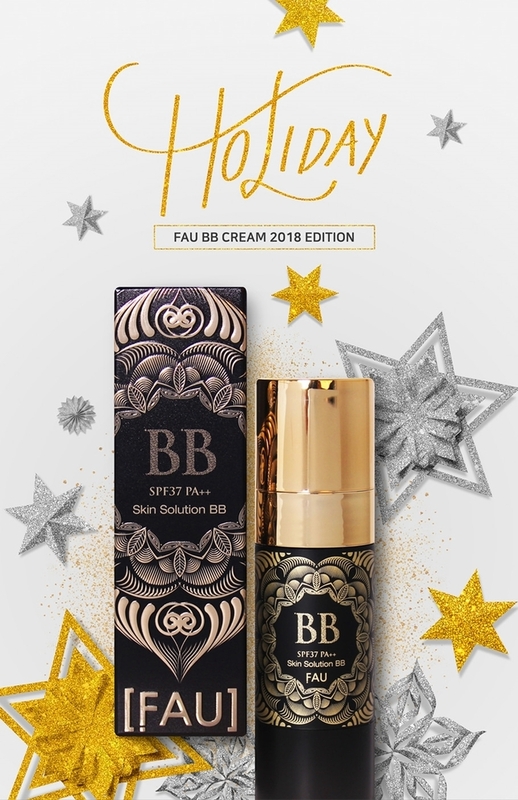 FAU (CEO, Choi Mi-hwa) released a holiday limited edition of 'FAU Skin Solution BB Cream' in time for the 2018 holiday season. 'FAU Skin Solution BB Cream,' re-introduced as a holiday limited edition, is a FAU best seller domestic and overseas, with high trust and reputation earned with quality alone, needless of advertisement. 'FAU Skin Solution BB Cream' is a whitening, wrinkle-improving, UV-blocking, triple-functional BB cream that provides solutions for multiple skin concerns in one formula. The skin tone correction effect produces a no-makeup, natural looking skin with amazing adhesion, natural coverage, and strong lasting powers without discoloration or fading all day. 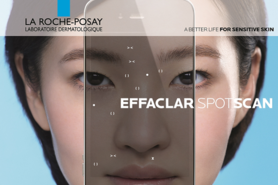 The product stands out among its competitors as it contains centella asiatica extract, an ingredient well known for skin-regeneration, to revitalize skin, as well as being a hypoallergenic formula that can be used safely even after clinical procedures such as special dermatological treatments. 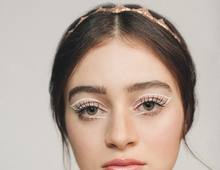 It also comes with a sponge for enhanced portability and convenience, and the product does not transfer to hands, enabling easy and perfect touch-up’s anywhere. 'FAU Skin Solution BB Cream' has built a strong word-of-mouth reputation among well-known domestic aestheticians and skin care specialists. The popularity is also booming among domestic and foreign customers, being dubbed ‘insane(ly good) BB’ or ‘holy grail BB’ in its wake. Positive reviews from actual users are accumulating non-stop in Korea, whereas it is ranked in the Top 3 popular Korean BB Creams in China, with a strong local following. 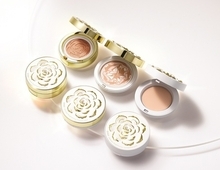 "Most people do not use many products when applying makeup. Instead, they expect multiple skin are effects such as whitening and wrinkle improvement at once," mentions CEO Choi, Mi-wha. 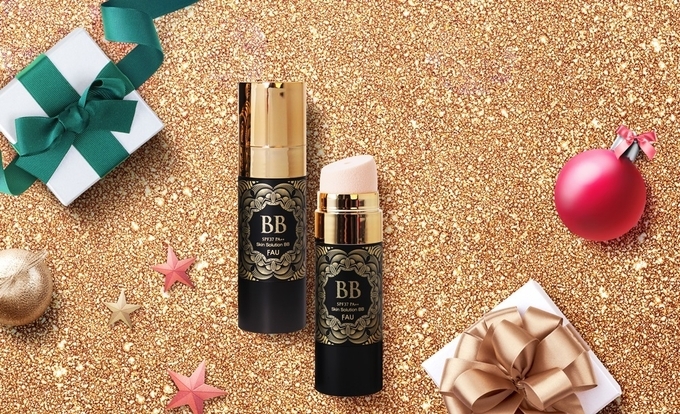 “'FAU Skin Solution BB Cream' is recognized for its easy usage while sufficiently accommodating such market needs and trends.” The CEO continued to emphasize customers’ support that led them to ‘’prepare a holiday limited edition of 'FAU Skin Solution BB Cream' to give back to the love and support of many people this year." 'FAU' is a medical spa cosmetics brand that skin care professionals in hospitals, spas and salons reach out as a primary solution to their customer's skin concerns. Conceived and produced in a wealth of beauty salon experience and skin research, products of FAU have steadily gained popularity among medical centers and skin care salons. FAU is also leading the ‘at-home beauty care’ trend of delivering hospital or salon-level results with accessible, at-home products or devices with increasing positive customer reviews and word-of-mouth.